Betfair Poker are going Asian Poker Tour crazy this weekend. There are unlimited packages available to this great event in Singapore, which has an expected prizepool of around $2,000,000. This weekend is THE time to join Betfair Poker especially if you love huge overlays, great value, a new deposit bonus AND foreign travel. The Betfair Asian Poker Tour is heading towards Singapore and UK Poker News readers can easily qualify for a seat in this massive poker event. Each BAPT package is worth $8,000. That includes a $5,000 BAPT seat and $3,000 for travel and spending money. Satellites have been running for a while now, indeed, many Betfair Poker players have already booked their seat to the Far East for this special tournament. However, this weekend Betfair Poker are giving away more seats than ever before. Win 5 single table tournaments (sit &amp; go's) at ANY stake level this weekend only and you'll earn a full BAPT $8,000 package. This promotion runs between 1800 (UK Time) on Friday 29th September 2006 and 0600 (UK Time) on Monday 2nd October. Betfair's Head of Poker, Ben Fried will play one $500 STT on both Saturday and Sunday under the poker alias "BAPT_BEN". Knock him out and win a $8,000 BAPT package. 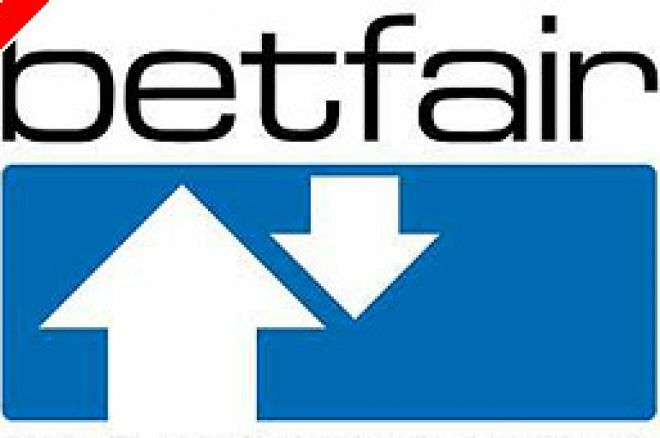 Check the Betfair Poker Forum between 19:30 and 23:00 at the weekend, for full details of which table Ben will be on. This freeroll is only open to Betfair players who attempted to qualify for the 2006 WSOP on Betfair Poker through one of their online satellites. Six Betfair players cashed at the WSOP 2006, so six seats are on offer in this great freeroll. The tournament start on Saturday at at 16:30 UK time. On Sunday, things step up a gear. Two seats are guaranteed in this MPP buy-in event. The tournament starts at 15:00 UK time. If you missed out on a seat in Mega Freeroll 1, this is your second and last chance to get a seat in Singapore for free. The tournament starts at 16:30 UK time. Throughout the weekend there are several BAPT Madness tournaments. Buy-ins are $25+$2 and $50+$4. The $50 tournaments are guaranteed an overlay. Ed note: join Betfair Poker this weekend and use bonus code MPP300 for a huge $300 deposit bonus.